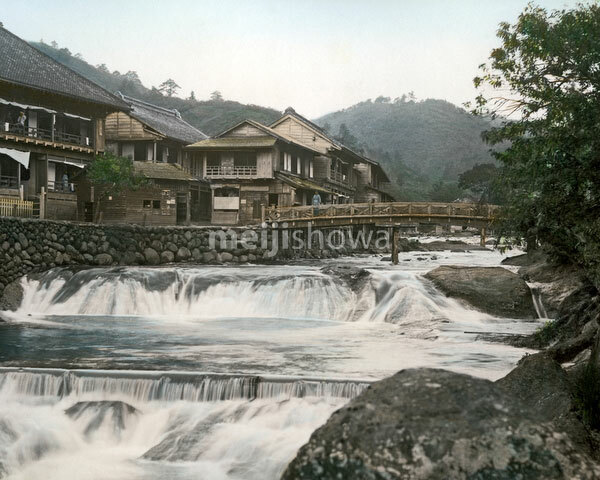 Shuzenji Onsen (修善寺温泉) on the Izu Peninsula in Shizuoka Prefecture. In 2004 (Heisei 16) Shuzenji merged into the city of Izu. Numbered 1677 in Japanese photographer Kimbei Kusakabe’s catalogue.